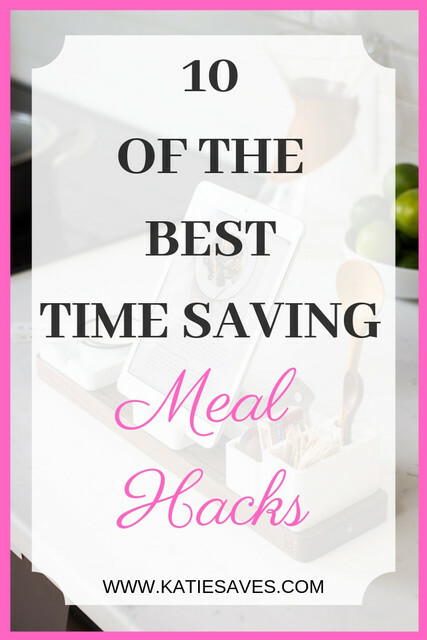 If you hate cooking – you need these time-saving meal hacks in your life! I’m not going to lie, I hate cooking. I have these visions of myself in my head being the perfect wife and mam cooking up delicious nutritious meals and baking lovely treats but the reality is we eat the same selection of meals over and over and the little baking I do either goes disastrously wrong or (10% of the time) amazing. I wish I could be someone who enjoys cooking, but it is just another chore in the list of things I ‘have’ to do. So for that reason, I’m always looking for ways to simplify the process, to save time and effort and to stop us reaching for the inevitable takeaway when both of us are feeling like we just can’t be bothered. It’s not a fine art and as much as I love a good routine, this isn’t one that I’ve completely mastered yet. I have good, productive, efficient weeks and I have weeks where we will eat frozen pizza and chips more nights than we should. But I’m constantly striving to improve and these are some of the ways I’ve eased the stress of mealtimes. Not in the traditional sense of planning each day’s meals because more often than not, I’ll write a meal plan and we won’t stick to it. One particular meal might seem like too much effort one night, whilst another night we won’t fancy the curry that’s been planned in. So I meal plan flexibly. And what I mean by that is planning what we’ll eat that week but not assigning meals to a particular day. We will have the contents of seven meals available to us and just decide what we fancy. Meal planning is a great way of reducing food waste and cutting costs on your grocery shop too. If you just buy fresh what you need for the planned meals you are less likely to go over budget and nothing goes to waste because everything has been bought with a purpose. I keep a stock of items that have a long shelf life and I know will be used in most of our recipes. Stuff like dried goods – pasta, rice, noodles. Cereals – I buy the biggest box of Asda’s Wheat Bisks they do. Tinned goods – chopped tomatoes, baked beans etc. Frozen goods – vegetables, oven chips – I buy the biggest size bag in stock so I know that it will last and when I see that it is running low I’ll add it to my next food shop. Doing this allows me to take advantage of lower prices. I buy all of this stuff from Asda’s smart price range (or their own range if there is not a smart price version – and I challenge anyone to taste the difference – seriously, you do not need branded tomatoes!) and the more you buy the cheaper it gets. Check the label and look at the price per g/ml and you will see that buying in bulk does save you money. It also means that we don’t often find ourselves running out of things because they’re kept in a constant supply. With dried goods, I like to decant them and store them in clear containers so I can easily see when we’re running low. I’d love to have a Pinterest worthy pantry full of glass jars with pretty labels, but simple tupperware suffices. On a Sunday, I usually have my food shop delivered so I’ll try to batch cook a load of meals for the freezer. These can be taken out before we go to bed and will be ready to be heated up teatime the next day. I love having a big stash of meals in the freezer. There is nothing more satisfying than knowing that tea is taken care of for the next few nights. While I’m in the process of preparing freezer meals, I will also make a few days’ worth of lunches for the fridge. This is usually chicken, rice and veg – boring, but healthy, packed with protein and low in calories. Both Luke and I are quite happy to eat this and don’t tend to get bored of having the same lunch so it takes a lot of the thinking and effort away. 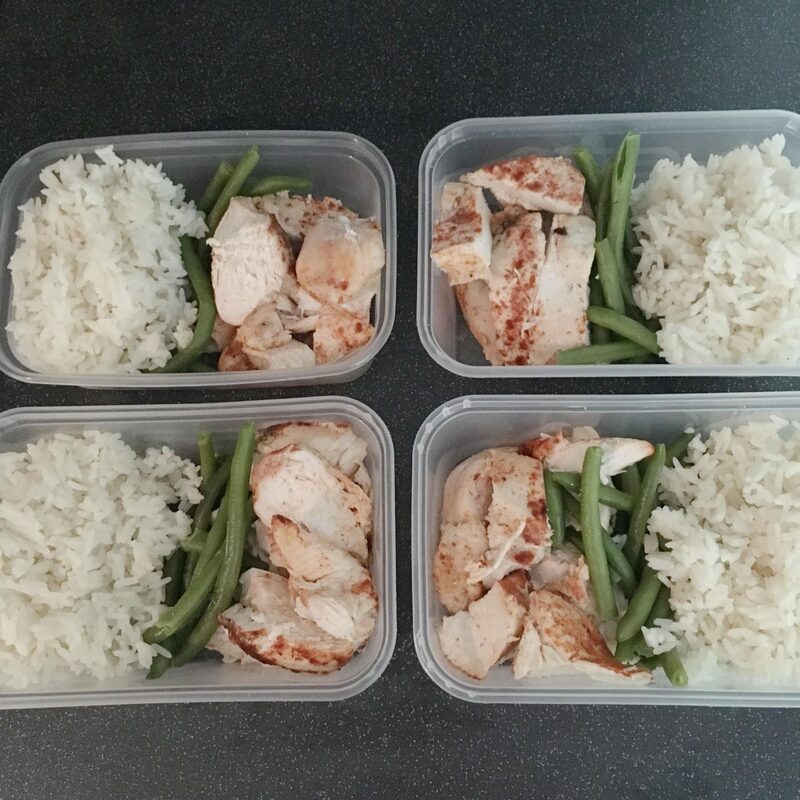 Having a few days’ worth (cooked chicken will keep in the fridge safely for 3 days) also means that we can just grab and go in the morning, and if there’s always a lunch ready in the fridge it means that neither of us are nipping out to buy food in our lunch hour. Hear me out; I haven’t gone mad I promise! 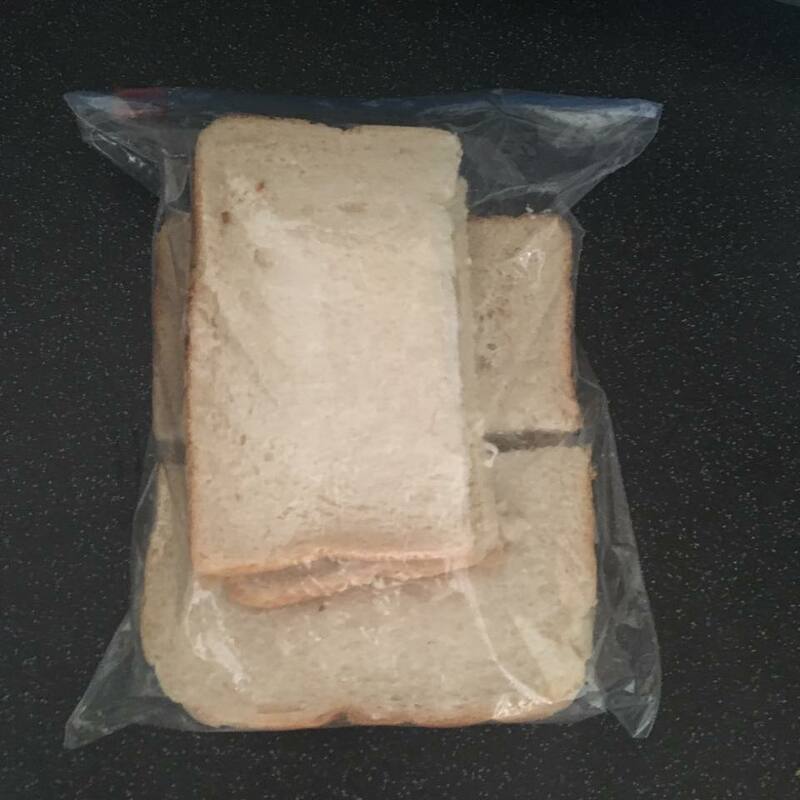 Make sandwiches as you usually would (butter/spread included) and then wrap tightly in sandwich bags or Clingfilm and freeze them! Take them out the night before you need them and they will be defrosted and ready to eat by lunchtime. This is a particularly great hack if you have kids and make packed lunches. I tend to use a whole loaf of bread at a time for this and then there’s a supply of sandwiches in the freezer for the days I haven’t prepped lunch. Fillings that work great – cooked meats, tuna, peanut butter, jam, Nutella and other spreads. Avoid salad though as it makes the bread go soggy. When I’ve mentioned this tip in the past people have asked if freezing them affects the taste. I can confirm that to me they taste exactly the same as fresh. Luke agreed. And my friend trialled it on her kiddie’s lunch and they couldn’t tell the difference either. The ultimate lazy girl’s dream. Dump all your ingredients in the slow cooker and leave on high for 4 hours or low for 8 hours (some recipes may advise differently). I avoid any recipe that calls for any browning of meats or pre-cooking veg. It all goes in raw – minimum fuss, minimum effort. There is an absolute wealth of information online. Just type ‘slow cooker recipes’ into google. Pinterest has stacks of ideas too. 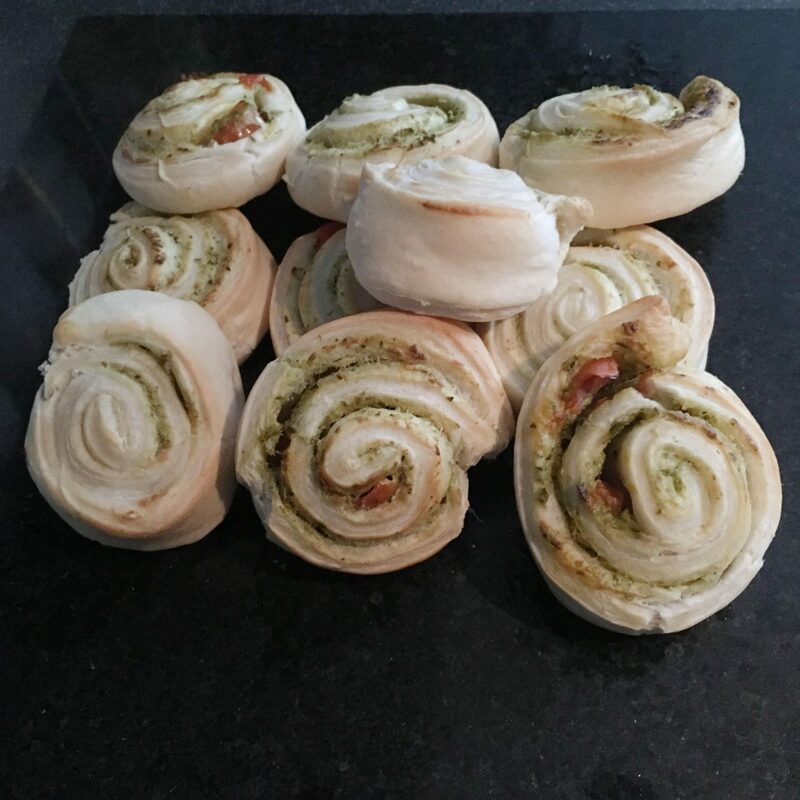 You can follow my recipes board here. Taking Slow Cooker laziness one step further. ‘Dump bags’ are freezer bags filled with the contents of a slow cooker recipe. These can be prepped in advance so that when you come to make a particular slow cooker meal your meat is already diced, your veggies sliced and your herbs/spices already weighed out. Just label the bag with the recipe name, cook time and write on any liquid that needs to be added. For example, my chicken fajita dump bag contains chicken, sliced peppers, diced onions and spices. Then the label says ‘add tinned tomatoes’. 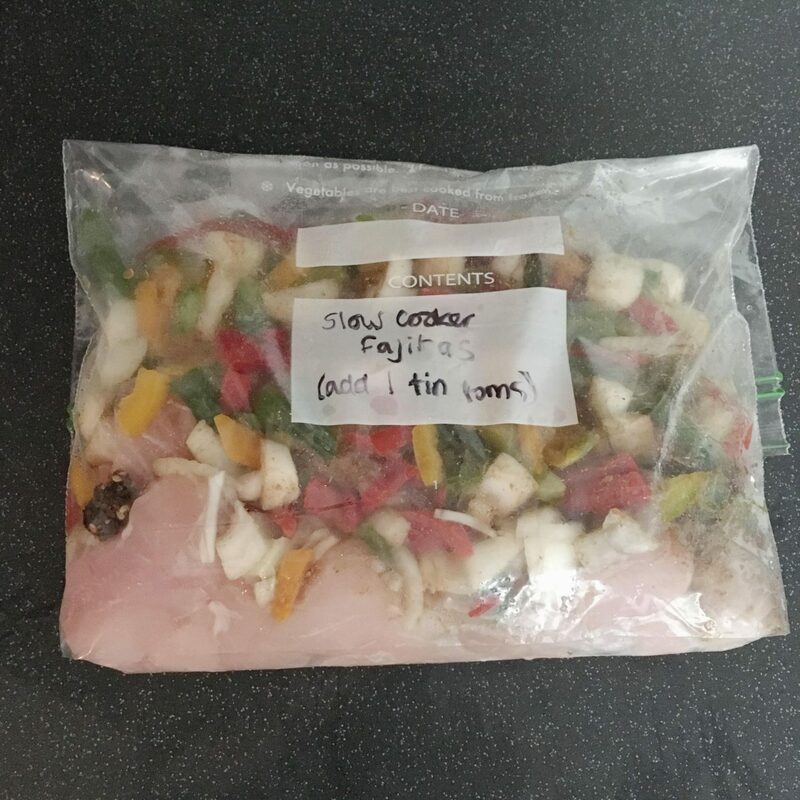 So when I come to make it, I’ll defrost the bag the night before, dump the contents in the slow cooker in the morning, add my tinned tomatoes and whack it on low for 8 hours ready for when I get home from work. Dump bags are again a great way to ensure you always have a meal good to go and cuts down on fresh food wastage as your veggies are chopped and put to use. I tend to make one or two of these when I’m batch cooking and will cut up an entire bag of carrots/onions etc in one hit. 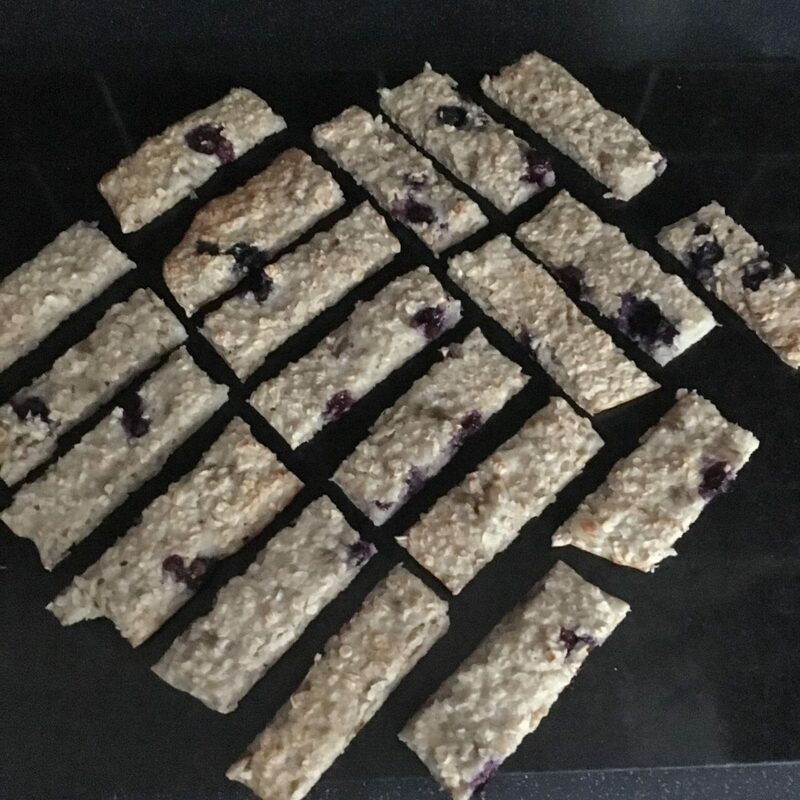 I make up a huge batch of porridge fingers, pinwheels and pasties for the freezer and take one of each out each night ready for Elise to snack on the next day. This is saving us so much money as we were buying lots of baby biscuits, crisps and bars. They are considerably healthier for her too. Win-win. I’ve pinned some ideas here. If you haven’t heard of overnight oats before it pretty much is as it sounds. It’s oats, your choice of milk, yogurt (if you like) plus whatever other additions you like – fruit, nuts, honey, cinnamon. Keep them in an airtight container in the fridge overnight and they’ll be ready in the morning. Just stir it all up and enjoy cold – the oats will absorb the liquid overnight so it’ll be a lovely consistency. When we lived with our in-laws, we used to prep these for the week for everyone to have for breakfast. I tried many different recipes and they were something we all really enjoyed. It was a good habit because it ensured we always ate breakfast, and the oats were filling so it cut down our snacking too. They will keep for 5 days in the fridge so on a Sunday night, you can prep a working weeks’ worth and save precious time in the morning before work. 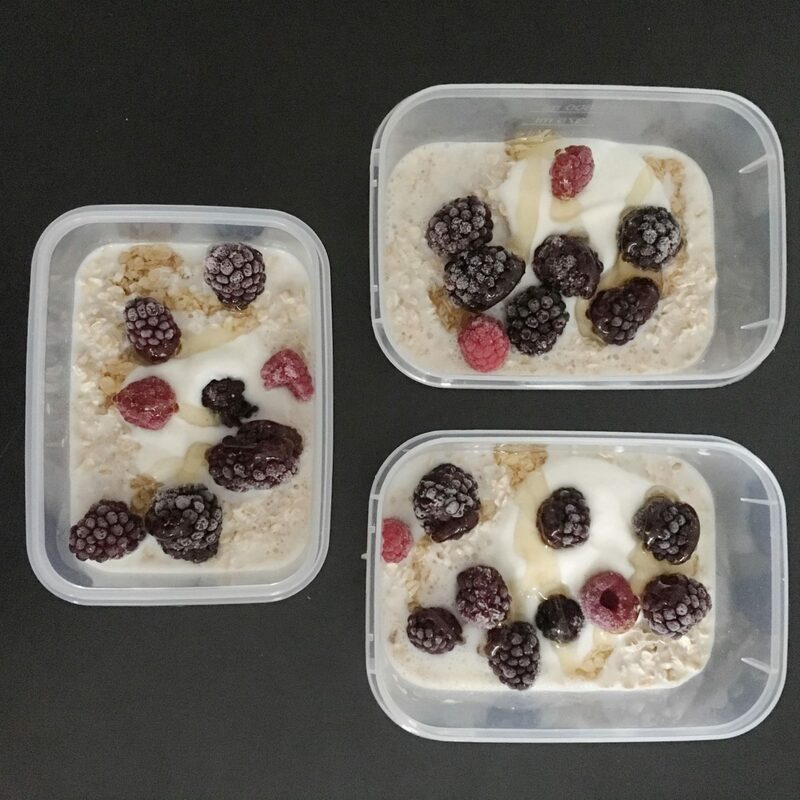 Again, there’s a whole load of different recipes out there – you can follow my overnight oats board on pinterest here. If a recipe serves 4 and you’re only cooking for two don’t reduce the ingredients – make enough to feed 4 and enjoy the leftovers for lunch the next day, or for tea another night. If I’m going to be making the effort to cook a meal from scratch I like to make sure I get at least 2 days’ worth of food out of it! Keep a bag of french fries and a couple of pizzas in the freezer – or anything that can be thrown in the oven together and cooked within 30 minutes. Quick grab and go meals like this, whilst not the most nutritious and full of the bad stuff are okay on the odd night when you really can’t be bothered and are better than a takeaway – both on your waistline and your wallet. Do you have any other tips you would add to the list? How do you reduce the stress of mealtimes? 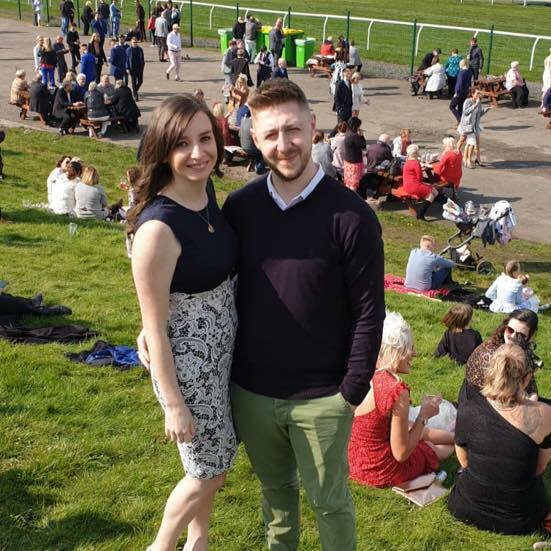 "Katie Saves Clutter to Cash Challenge"
"Matched Betting – How We Made £313 From One Tournament"